After a mysterious sphere collides with Tokyo, legends seemingly born of the ancient Mayan civilization appear. In truth, however, the beings are alien invaders known as the Mazone, plant women who wandered the earth in bygone ages--and have now returned to make it theirs. 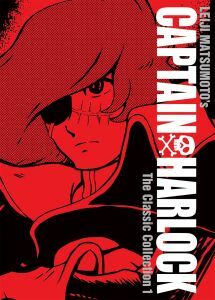 With a ragtag crew of renegades at his side, only the space pirate Captain Harlock has what it takes to save the planet.